3. In Rainbows: Radiohead—This smooth, laid back album is all about the groove. It is more or less a collection of refined jam sessions. Now with most bands this would probably be a bad thing. But anyone knows that with Radiohead this is nothing less than a jem. Not to mention In Rainbows has single-handedly pronounced the record industry dead on arrival. Standout track: All I Need. 2. Sky Blue Sky: Wilco—The first time I ever heard this album, (Upto12 had given me the CD that came with his gorgeous LP set) we were on our way to a reunion in Tahoe. That couldn’t have been a better intro to this throw back of a rock and roll album. Yeah that’s right, rock and freaking roll. You can’t help but melt to its sassy steel guitar. No joke, you’re actually bummed when the guitar solos are over. Sky Blue Sky is Americana, albumified. Standout track: Impossible Germany. 1. Neon Bible: Arcade Fire—So this is a no-brainer. Ever since this album was released (actually since before its release, hehe) I’ve probably listened to it at least once a week, if not more. In fact, I listened to it yesterday and I’ll probably listen to it tomorrow. I’d have to say it’s near perfect, and seeing them live has made it all the more listenable. I’ve realized that Arcade Fire has basically been raised with my same musical education as far as what was popular through our teen years and the effect things like MTV have had on us. The sounds of Neon Bible have totally confirmed that fact to me. Standout track: This one’s tough, but I’m goin' with Intervention. 3. Hot Fuzz—Is it an action movie or a satirical comedy? Is it an homage or a slasher flick? In a word, yes. From the dudes that brought us Sean of the Dead—comes the movie that glorifies flicks like Bad Boys II and Point Break. The irony is that this satire is a better movie than the films it’s supposedly honoring. It’s better written, more entertaining, and in the end is an all out better action flick. Standout moment: the biting ginger kid. 2. The Bourne Ultimatum—During a time in filmdom when every action movie and its dog were doing knockoffs of the Matrix’s slow-mo, Bullet-time effect—The Bourne Identity came along with rapid-fire, real-time fight sequences. The extreme shaky-cam follow-up The Bourne Supremacy was next, directed by Paul Greengrass. The final installment, The Bourne Ultimatum, brings Greengrass back with what seems to be the perfect balance of stunning, real-time action sequences, captured by not-too-shaky handheld camera movement. They seriously put cameras in places I’ve never seen them be placed before. Which easily made this flick one of my faves of the year. Standout moment: Babco™’s VW Touareg commercial that actually uses Edgar Ramirez from the movie. 1. Juno / Dan in Real Life—For the first time in Kyailty history I have a tie for favorite picture. Here are two flicks both with intriguing twists on real life situations. They’re dramadies that once again fit my profile for the ideal Kyality-style movies: tight scripts, high levels of production design, and killer soundtracks. These flicks had tons in common, they’re both brutally uncomfortable, laugh-out-loud funny, and extremely emotional all at the same time. The attention to detail is off the hook in both cases, for example Dan is still wearing bowling shoes long after the fiasco at the lanes and if you look hard enough you can see a hamburger phone in Bleeker’s room too. The dialog and delivery works so well thanks to acting chops of Ellen Page and Steve Carell. And both had great tunes that end up stuck in your head the next day—in the good way. Standout moments: acoustic guitar / vocal duets by Ellen Page, Michael Cera, Steve Carell, and Dane Cook. 3. Chuck—From the guy that brought Cameron Diaz shakin’ her booty as one of Charlie’s Angels comes the spy series for the rest of us. Just when you were through with thinking your way through stuff like LOST and 24, Chuck is just plain old fun. It eliminates all of the stretching of the imagination and the need to have seen all the previous episodes of most spy-like shows. Plus there’s great music, biting humor, and hot chicks, need I say more? Standout moment: Black Friday at the Buy More. 2. The Office—Everyone knows that Season 3 rocked the house down, but most people kind of seem to think that Season 4 hasn’t rocked as hard. I’m here to officially say that it rocks even harder. Yes, corporate Ryan is freaky, but Jim and Pam have held their own, Kelly has cranked it up, and the coupled-up Michael and Jan are an unreal-in-a-good-way pair. Not to mention, Moes is my new hero. When you look at this series’ entire story arch, you’ve got to admit when many series crumble, Season 4’s had all the right twists in the right places. Standout moment: The that’s-what-she-said deposition debacle. 1. Pushing Daisies—So I’ve talked this series up quite a bit. But once, you’ve seen an ep your hooked. And I haven’t known anyone who’s seen the thing who wasn’t become a fan. Simply put, it’s infectious. This ultra-complex premise proves that the right writers feeding lines to the right actors can provide for a totally compelling series, no matter how intricate the storyline. Standout moment: Chuck’s super-cute mod dot dress. 3. 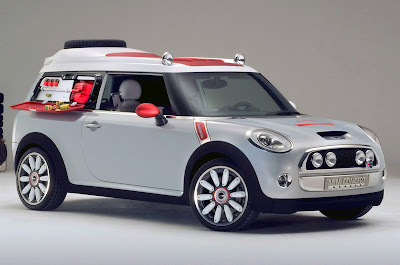 The New, New MINI Cooper S—For 2007, MINI completely redesigned their Cooper and Cooper S models without a single screw carried over, though you might never notice. 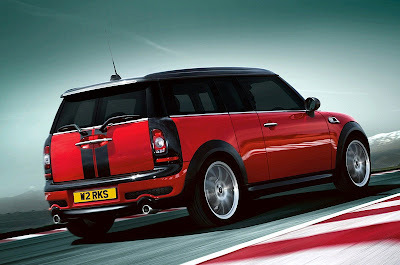 In order to comply with new EU pedestrian safety codes, the MINI Cooper is wider and longer, but not taller. All of these changes were made merely to accommodate a few extra inches of height on the nose. In the process the S went from a supercharged model to a turbocharged engine, which apparently means more horsepower, more speed, and better gas mileage. At first I hated this thing, it looked like a deformed MINI to me. In fact I opted for a 2006 because of it, but for some strange reason it’s totally grown on me and in many ways it now seems like a killer update to an already damn good looking car. And as SouthernJ can attest, the turbo can out-spool the supercharger on the tarmac. Standout feature: available JCW 18” R105 matte black rims. 2. The Fiat 500—Where the Smart Car can feel like a soulless deathtrap, the all-new Fiat 500 comes off like a hip, economical micro-car with a Synchronicity-style Vespa for a mom and a Monte Carlo rallye car for a dad. When it all boils down to it, green technology will only get you so far. At some point every SUV driver with a soul will have to realize that more mass = more energy to move it. Micro-cars are the future and if they’re actually this cool, bring it on. Standout feature: Fiat’s amazing “Video Configurator”. 1. The BMW 3.0 Biturbo Engine—Okay, so this isn’t a car per se, but it is inside of several Bimmers and will be inside of many more. BMW has built what’s being called the perfect engine. It’s lightweight, it’s fuel-efficient, and it’s brutally fast. Essentially the wizards in Munich have taken BMW’s classic straight six from a very respectable 230 horsepower to a bit over 300 horsepower. Best part—no turbo lag. There are two, count them two turbo units; the second is timed to compensate for the lag that inevitably comes from the first. They’ve already dropped the new biturbo into the 335i and 535i. But we’re all anticipating the 135i to set the new benchmark for modrodding in 2008. Standout feature: Audi S5 killing power. 3. beonlineb.com—Music videos can take a hike. This thing changes it all. Coming from working in the interactive design industry day in and day out, this site actually cuts through the clutter and made my job feel cool again. So many sites these days are merely marketing tools to the max. This one on the other hand turns the medium into art, using it to enhance, entrance, and entertain. Props once again to the kids from Montreal for taking Neon Bible to the next level. Catch Upto12’s post on the topic here. Standout feature: Embedded Flash Video assets used in a totally new way. 2. Sky Blue Sky Album Art—There’s gotta be some reason why two of my top music picks are showing up in my top design picks this year too. The collision of media will continue to happen more and more. And in a world where you’re interfacing with your Album Art more and more, you’ve got to appreciate the guys that are taking the time to seriously do it right. When Mrs. Kyality and I saw this cover, we actually considered turning it into wall art for our living room some how. Standout feature: it looks fantastic sitting next to the Yankee Hotel Foxtrot album art. 1. The Apple iPhone—I’ll be honest, when I was watching Steve Job’s unveiling of the iPhone a year ago. I looked at it and thought: I guess it’s cool, doesn’t look very Apple. What I didn’t realize was that I was looking at the future of Apple’s design. Jonathan Ive’s changed the world, yet again. Function and form have never looked or felt so good. And when this thing is paired up with the new, new iMac—everything sorta clicks and you get it. You can see precisely where Jony is heading with Apple design aesthetic in the next three to five. 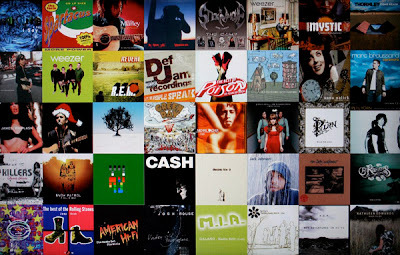 And talk about the collision of media, never before have you been able to interface with your music, movies, TV shows, and album art in such a ridiculously seamless and tactile way. Use one for a week and you’ll be a believer too. Standout feature: uh, the fact that I’ve rigged the Cooper S so that I can dock the iPhone in the cup holder. Mrs. Kyality rocked the house down this Christmas with the definitive Kyality-style publication: MINI The Book by Peter Würth. This book starts out by describing the first decade of the new millennium as the age of design—where disciplines intersect into cross-genre art that fuses fashion, music, media, design, architecture and narrative into a single product family. The book chronicles the cultural impact of the old and new MINI and interweaves all kinds of products that jive with the MINI lifestyle and its design principles. These products include things like the iPod, the Loftcube, and the Lecia Camera. 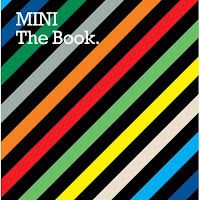 MINI The Book is a gorgeous must-have for any MINI owner and/or design buff. Well played Mrs. Kyality, well played. PS: Look for my 2007: Year in Review post, coming soon to an internet connection near you. Just gotta get a couple more flicks in!